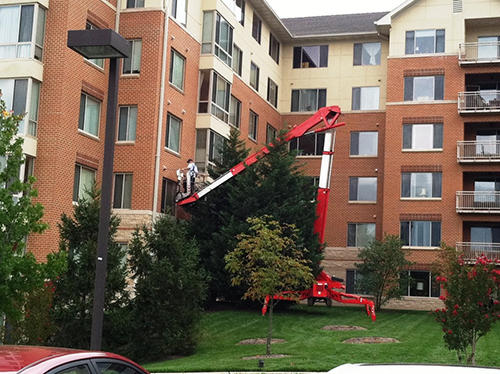 T & D has the experience and expertise to get the job done right the first time. All technicians are NADCA (National Air Duct Cleaners Association) certified. T & D Air Duct Cleaning services can greatly reduce indoor air pollution in your home by professionally cleaning your ductwork and dryer vents. When you use our MD duct cleaning services, you can feel confident that our NADCA-certified technicians will rid your ducts of dust and harmful microbes. We proudly use Nikro H.E.P.A. (High Efficiency Particulate Air) systems to clean your ducts from the inside out, and all of our equipment meets or exceeds NADCA, OSHA and EPA standards. Here’s how it works: our air duct cleaning professionals in Maryland will connect a HEPA Filtered Vacuum System to the air duct nearest your furnace and use high-pressure tools to dislodge contaminates in your ductwork and into your filtration system. 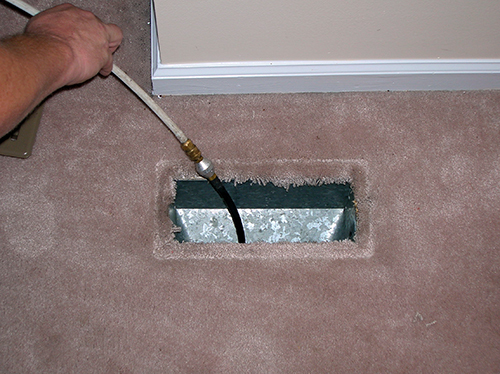 Once your ducts are cleaned, only clean air will be delivered through your heating and cooling vents. 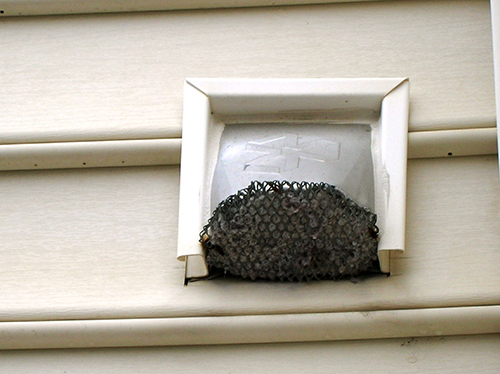 A similar process is used for dryer vent cleaning in which a jet snake is used to blast loose lint and debris and direct it outside. Contrary to popular belief, air pollution is not just an outdoor problem. In fact, a recent scientific study at Yale University has indicated that the air inside 19 of 20 homes is more polluted than the air outside. One of the main contributors to indoor air pollution is the dust and contaminants that get caught in a house’s ductwork. That’s where T & D Air Duct Cleaning comes in. Our duct cleaning services in Maryland can rid your home of the dust, dirt and debris that may be caught in your ducts and eliminate the opportunity for mold, fungi and microbes to begin to grow inside your ductwork and further pollute the air in your home. Additionally, the buildup of debris and lint in your home’s dryer vents is subject to bacterial growth and also presents a potential fire hazard in your home. Indoor Allergies: There are many allergens that afflict people. Some of the common allergens that end up in your home are pollen, pet dander, molds, air pollution, and household dust. Some allergens are at work all year round. Dusts, molds and animal dander are present in many homes, offices and public areas. According to both the American Lung Association and the EPA, if you or your family members suffer from respiratory ailments such as asthma or allergies, these contaminants can further increase your health risk and exacerbate your symptoms. Even if you do not suffer from allergies, these pollutants can cause you to experience allergy-like symptoms such as a runny nose, congestion, coughing, chills and even fever. Very few allergens are harder to ignore than airborne indoor allergens. Dust collects in your ductwork. It gets blown back into the air whenever your heating or air conditioning fan goes on. And with the high humidity of summertime - and the humidifier on in the winter - your ductwork can also be a very welcoming environment for mold. Perennial allergies and seasonal allergies produce identical symptoms. In both cases, a common source of relief is keeping your air ducts clean! If it’s been a while since you’ve had your ducts and dryer vents cleaned, give us a call. Make your home a healthy and safe place to live by contacting T & D Air Duct Cleaning in MD. We look forward to serving you! T & D Duct Cleaning services central Maryland (Carroll County, Baltimore County, Baltimore City, Montgomery County, Frederick County, Howard County, Anne Arundel County) and York and Adams Counties in Southern PA with a commitment to quality and on time Air Duct Cleaning and Dryer Vent Cleaning Services. ***Expanded service area for Commercial Services now available in Harford County, Queen Anne's County on the Eastern Shore of MD, Prince Georges County, Washington County, Washington DC & Northern Virginia including Alexandria, Arlington, Falls Church & Fairfax VA.